Fresh greens are an important part of the domestic cat’s diet. Although some dry foods contain plant derived nutrients, there is no substitute for fresh greens (grass). You may have seen the small pots of grass at the pet store which are expensive and only last about a week. There is another easier and less expensive option that goes by the brand name of Cosmic Kitty Herbs. 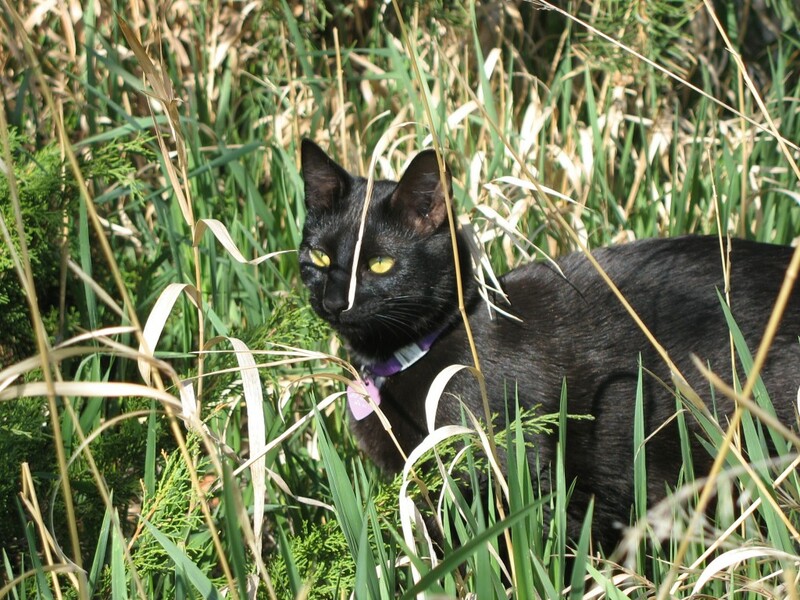 These kitty herbs consist of a variety of grass seeds cats love. To grow kitty herbs, pour a layer of seeds into a small to medium sized planter with organic soil and add water. Keep the seeds moist and in a warm place until they germinate. Your cat will start munching on the sprouts right away and continue to eat the grass until it matures and flops over. This is the point where you add more seeds to the same pot ensuring there is always a new crop coming up full of tender shoots your cat loves. And, in case you are thinking, whose going to clean up the cosmic kitty puke after kitty eats the greens, my experience is the grass mixture does not cause the cat to puke as happens when cats eat grass from yard. Our cat noms on her greens every day and has turned into a regular grazer without a single vomit. Cosmic Kitty Herbs come in 3 oz bags and cost under $4 and can be found at most pet stores and on-line. I think I even bought them at a regular grocery store in the pet section.